‘Padmaavat’ star Ranveer Singh, who is on a Swiss summer vacation, was in the Alpine nation recently to inaugurate a train named after him. 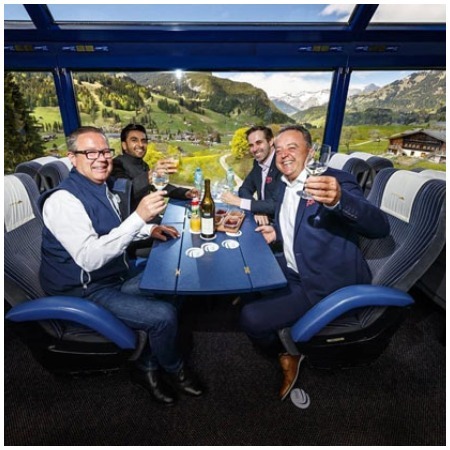 The tentatively named train – “Ranveer On Tour” – will help facilitate tourism in the Alpine country, which, of lately, has caught the Indian tourists’ fantasy. Wedding Confirmed: Deepika Padukone And Ranveer Singh Getting Married This Year? Read To Know! Ranveer, who has become the first ever young Indian brand ambassador for Switzerland Tourism, received the honour from the country’s tourism board for his contribution in boosting the nation’s visibility in the Indian subcontinent in 2016 and also luring Indian tourists to the snow-capped mountainside in greater numbers each year. The “Ranveer On Tour” train, which will roll until October, will offer picturesque views of the country from Lake Geneva and Lavaux to Jura Mountains and the renowned Swiss Alps. Ranveer posted some of his amazing holiday pictures on his official Insta account, which have taken the Internet by storm. 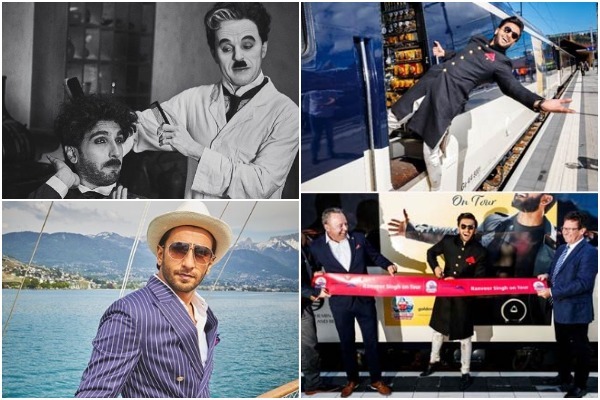 While on his tour to the Swiss countryside, Ranveer also visited the Charlie Chaplin World in Vevey, which is home to the legendary comic icon. He posted a video on Instagram, which shows him in Chaplin’s avatar, with some funny antics up his sleeve. Ranveer posted the video as a tribute to the late comedy actor, calling him a tramp, a gentleman and a lonely man, who always hoped for a world of adventure. Ever since he put up the video, it has gone viral. In the caption he mentioned that a person’s day goes to waste if there’s no dose of laughter in it. He posted more pics where you wouldn’t be able to differentiate between the comic legend Charlie Chaplin and his resembling reflection Ranveer Singh. Ranveer, who has recently wrapped up the shooting of Zoya Akhtar’s ‘Gully Boy’ opposite Alia Bhatt, took a Swiss holiday break before returning to start shooting for Rohit Shetty’s ‘Simmba’. Ranveer for sure knows how to take a solo trip, make the most of it and not forgetting to keep us entertained.